The U.S. Coast Guard will nab Sig Sauer’s Sig Air Pro Force P229 airsoft pistols to use during training with its Cadets and Gaurdsmen, Sig Sauer announced Friday. The Sig Air Pro Force P229 airsoft pistol is a premium airsoft gun created to the similar specs as the original P229 pistol. The full-size, metal frame airsoft gun features a one-piece polymer grip in addition to night sights. Outfitted with a Sig rail, the airsoft pistol ships with one 25-round magazine. Utilizing a semi-automatic firing mode with gas blowback, the Sig Air Pro Force P229 replicates firing in the original P229, offering a cost effective means to safely but efficiently train. 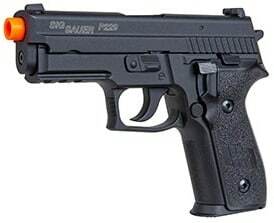 “The Sig Air Pro Force P229 airsoft pistol gives the U.S. Coast Guard’s Cadets and Guardsmen the ability to practice gun handling, conduct target practice in various environments, and train in realistic force on force scenarios with a pistol that has the same look and feel of their issued P229 sidearm,” Joe Huston, Vice President and General Manager for Sig Air, said in a press release. 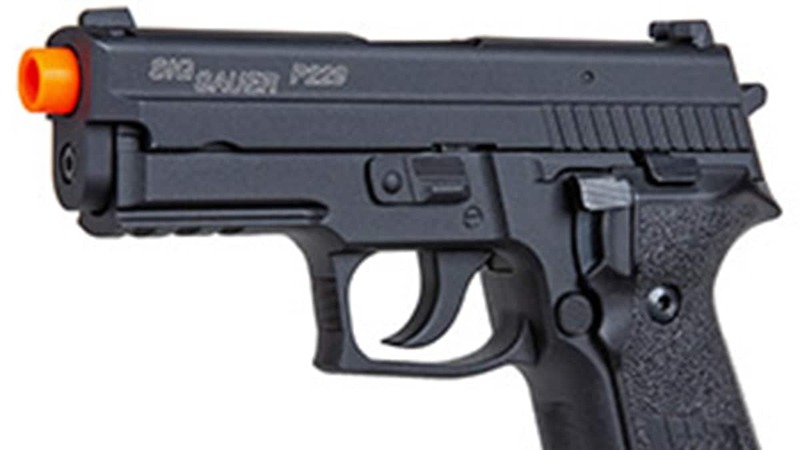 The Coast Guard procured the Sig Air Pro Force P229 airsoft pistol through a small business set-aside granted to Tidewater Tactical in Virginia Beach, Virginia. Sig Sauer President and CEO, Ron Cohen, said its honor to serve the men and women of the Coast Guard. Sig Sauer says the commercial version of the Sig Air Pro Force P229 airsoft pistol is expected to drop in consumers’ laps in 2019. No word yet on pricing.